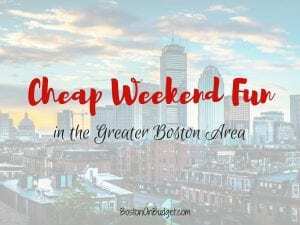 Cheap Weekend Fun in Boston for November 23-25, 2018! Happy Thanksgiving and happy (hopefully for you) long weekend! Here are some fun and cheap things to do over this Thanksgiving and Black Friday weekend! If you are traveling on Thanksgiving night or early Friday morning, head to any MassDOT service plaza for free coffee from 10PM on Thanksgiving night until 5AM on 11/23/18. If you are planning to go out on Black Friday, here are the store opening hours in Massachusetts for Black Friday since it’s different than nationwide hours thanks to our Blue Laws. And Good Luck if you are trying to score some hot deals on Black Friday morning! I am going to try to post my favorite deals in a big roundup post for the Black Friday through Cyber Monday weekend and those amazing deals can be found from the comfort of your couch! Annual Boston Tuba Christmas: Saturday, November 24, 2018 at Faneuil Hall. An estimated 150-200 Tuba players will serenade the crowd with Christmas music to get into the holiday spirit for this annual event! Quincy Christmas Holiday Parade and Celebrations: November 23-25, 2018. Enjoy a tree lighting, parade, and watch Santa parachute from the sky this weekend in Quincy! Small Business Saturday: Saturday, November 24, 2018. Shop small this Saturday and support a small business this holiday season. Zoo New England Half Price Admission Day: Friday, November 23, 2018 at Franklin Park Zoo and Stone Zoo. Both the Franklin Park Zoo and Stone Zoo are offering half price admission on Black Friday from 10-4pm for some cheap family fun.